Your local Moredon Charcoal Grill is: Swindon, 7 Moredon Road, SN25 3DQ. Got a voucher, coupon or gift certificate? For every £ you spend, you will receive 2 points. From time to time we may run promotions that allow you to earn more points. How do I redeem my loyalty points? Every point is worth £0.01. You can start spending your points straight away! To redeem your points, simply tick the "redeem" checkbox on the checkout page and your order will be reduced by up to the value of your credits when you click the "Confirm and place order" button. Your order value must be at least £10.00 before you can redeem. After a successful order, your loyalty point's balance will be deducted by the relevant amount. Please note, points are not redeemable for cash and can only be redeemed online. They cannot be transferred to another customer account. We reserve the right to withdraw or remove points as we see fit, if we suspect fraud, or if we wish to stop the loyalty scheme, in which case, no refund will be given. You will not receive loyalty points on money you spend on payment or delivery fees. Any special requests or comments? Please use this box to tell us if you have any allergies, dietary requirements or if you want to leave a note about delivery for the driver (if applicable). Note that some requests may not be possible or may incur a fee. Note Mobile number is preferred. It's important that you check the number. Important Please ensure you include your house number/name above. Leave a tip for driver? By placing your order online, you agree to our terms and conditions. Please read them before you order. Are you a member? Login! Your details are safe. They are not passed onto other companies. 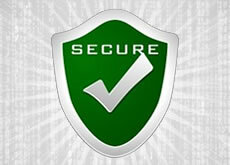 If you pay online, your financial data is encrypted using high-grade SSL certificates. We cannot access your card details as payments are handled through a 3rd party payment agent.